ATP Air Tools parent company Hy-Tech Machine uses state-of-the-art machining equipment to guarantee precision in ATP air tool products. Rigid specifications are constantly maintained. Quality control is stringently monitored and custom machining requests are not a problem at ATP. "In stock" can be a beautiful thing to hear when you're on a deadline and you need it now. Clairton Industrial Tools & Supply's relationship with ATP is not only long term but also a close by relationship, That's we can supply many of our customers with tools and supplies so quickly. ATP's air impact wrenches and tools feature alloy steel hammer cases that are machined from solid bar not drawn or cast. ATP's line of air drills are designed for rugged heavy duty drilling and reaming operations. ATP offers a variety of heavy duty chipping hammers, rammers and rivet hammers. ATP Hammer tools combine durability with comfortablity to do your job right. ATP has a complete line of air grinders including vertical, horizontal and angle grinders and die grinders. The ATP 91200 series air hoist is designed to lift raw or processed materials in heavy duty lifting applications. Browse the 8 models available. Thor breakers are available in 30, 60 and 90lb class. Thor breakers are ideal for construction or plant maintenance and Clairton offers 6 models to choose from. The ATP Venturi Air Movers are high performance Eureka Venturi air movers made from rugged tech alloy aluminum casting operating on compressed air or steam. Thor Scalers are designed for removing weld flux, paint, scale, weld spatter, rust and other residue. Thor Scabblers are designed for concrete surface work . Creating new parts for air tools, contracting annual replacement part requirements or developing custom tools or parts gives ATP air tools a unique strength. Their quality is already known, their standards are respected across the industry. You can use any of ATP's products with confidence. ATP's air tool product standards meet or exceed those of any tool manufacturer in the market place today with over 25,000 different air tool parts in stock. ATP has created replacement parts for tools with names such as Chicago Pneumatic, Ingersoll Rand, Cleco, Thor and others. Didn't find the ATP air tools you were looking for? Have a question or need assistance in selecting an ATP air tool? 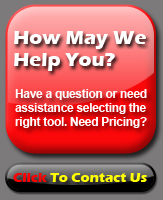 Call us at 1-877-702-8665 or click here to contact us online.